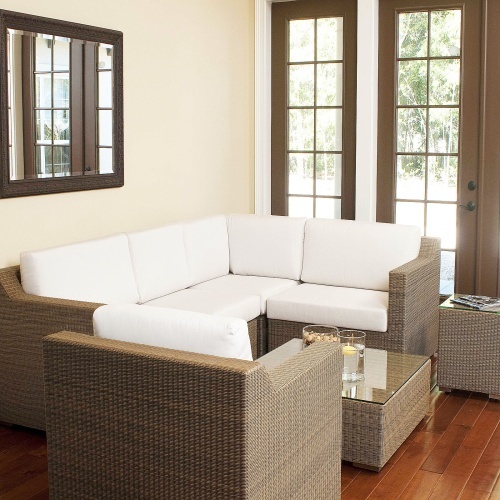 This Malaga 7 piece sectional set creates an L-shaped sofa, with an accompanying armchair. 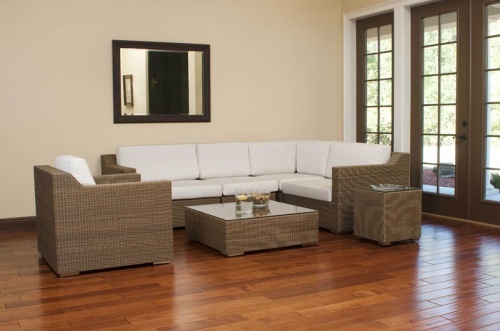 The ottoman can be used as a coffee table, or additional seating. 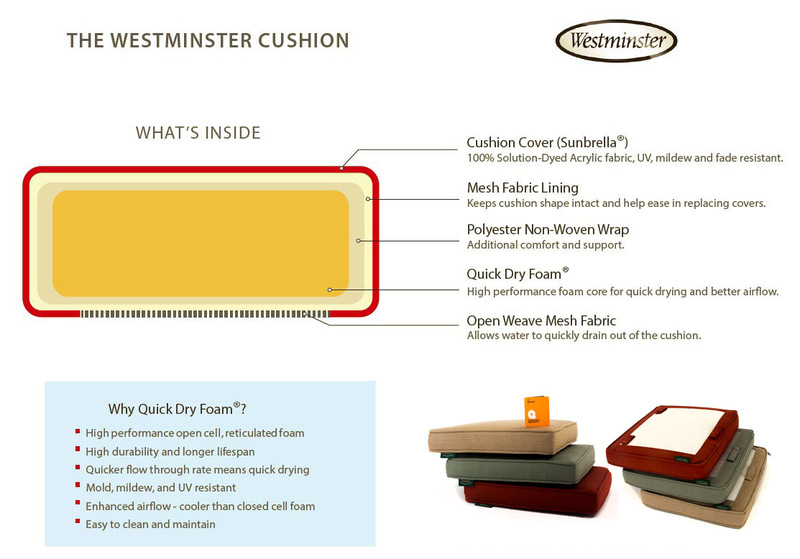 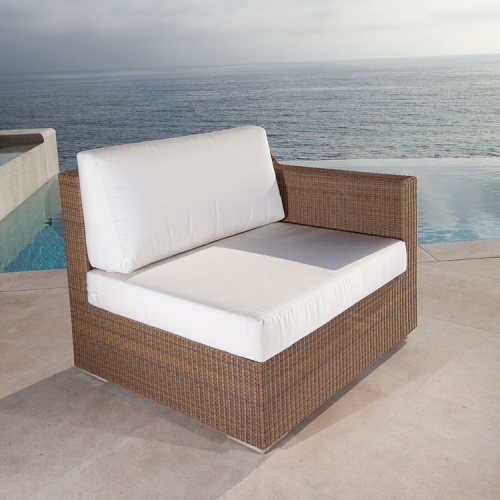 Suitable for lounging in the sun, in the shade of your pavilion, or nestled in your living room. 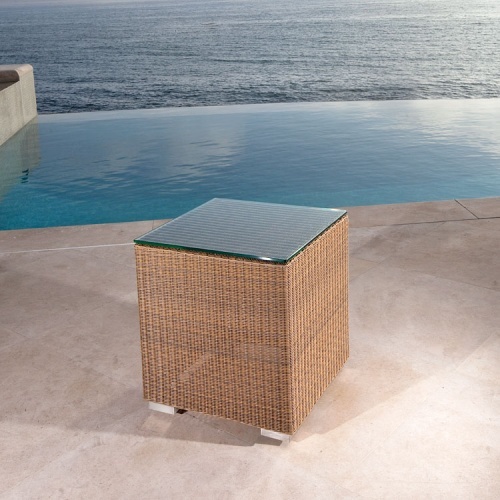 Configure the pieces into multiple arrangements, bringing you endless possibilities and dimensions. 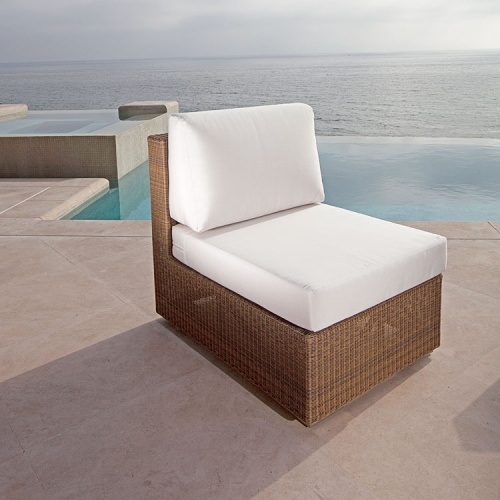 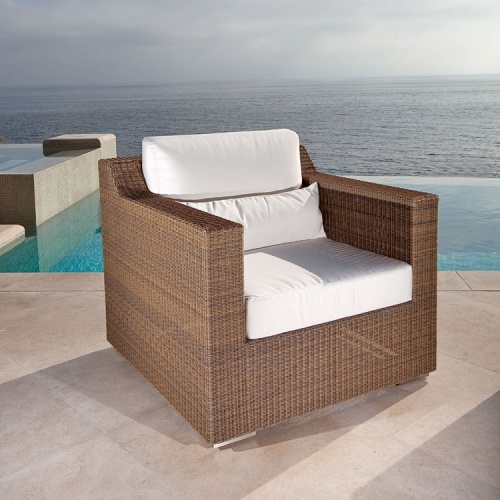 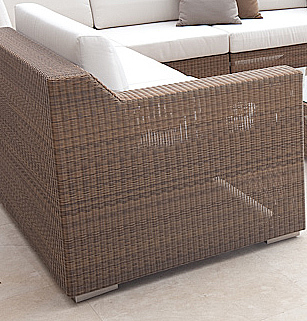 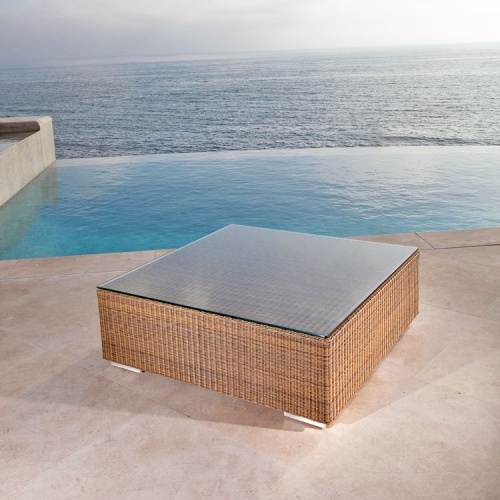 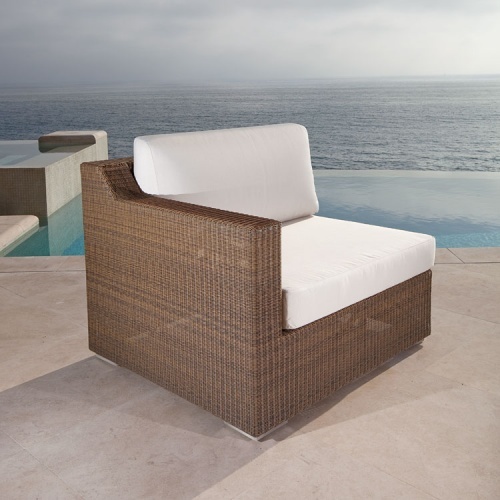 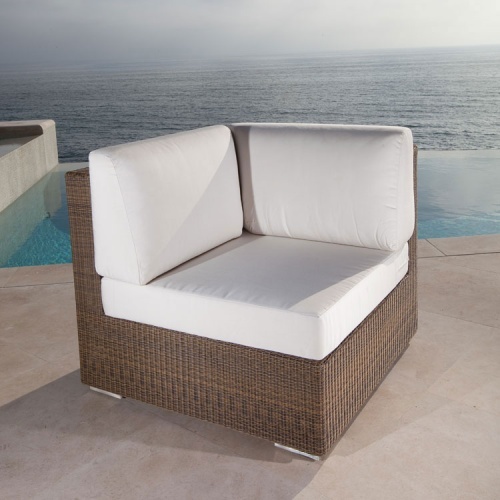 The Malaga collection is hand woven around powder coated aluminum frames with synthetic fibers that are specifically engineered to replicate not only the look and feel of natural rattan and wicker but to endure the rigorous of outdoor conditions such as UV exposure from sunlight, extreme temperature variances, mold and mildew. 1 Right Side Sectional, 1 Left Side Sectional, 1 Armchair, 1 Corner Sectional, 1 Slipper Chair, 1 Ottoman/Coffee Table, 1 Side Table. 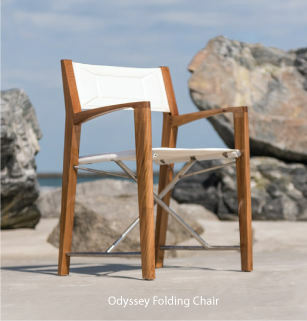 The time is now 10:36 PM EST!